Köfte or Kofta is definitely everyone's number one favorite here. As kebab, köfte is like staple and almost everyday meal for local. Men women adult to toddler. And just like kebab, köfte has many variant base on meat used and its origin. There is İzmir köftesi origin from İzmir city (see recipe here) , or when you visit Bursa you should try Pideli Köfte, it's a small flat meatball served over pide flat bread flush with yummy tomato sauce then "fizz" with hot melted butter. You can check how to make it home here. There is another köfte from İnegöl town named İnegöl Köfte. Each köfte (meatball) has own typical. 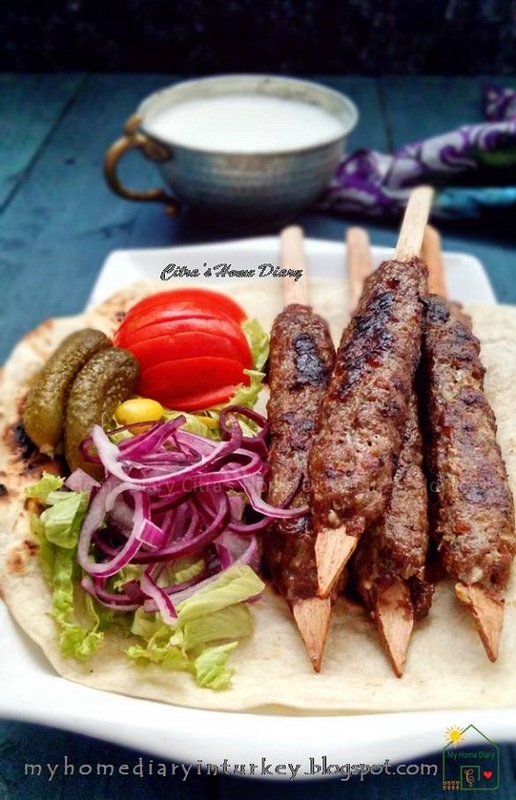 And today İ'd like to share my family's favorite; Köfte Kebabı or Kofta (meatball) kebab. 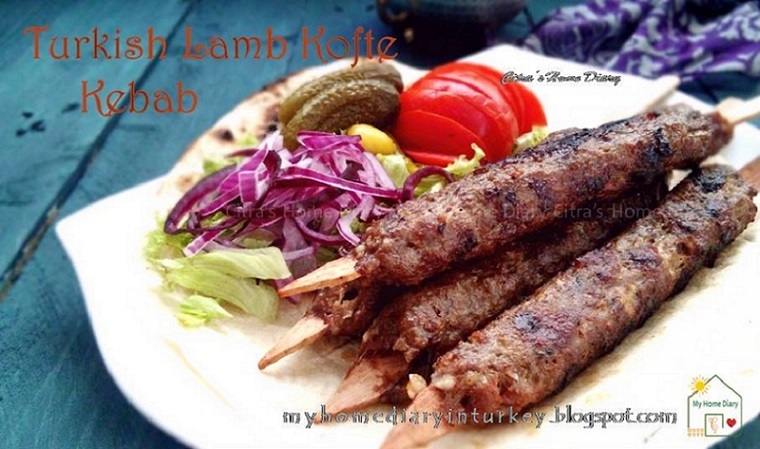 At a glance it may look a like Adana Kebab, but it's totally different. This is just simply meatball wrap over 2 cm wide bamboo skewer then grill or roast in oven / grilling. The spice uses for this köfte is more simple than Adana Kebab, but believe me it still pack with flavor of Turkish cuisine. Indonesia has many....probably hundreds of variant of snacks. 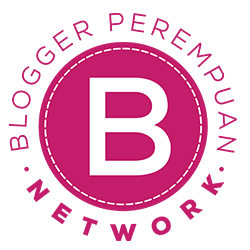 Start from traditional snacks e.g many kind of kueh basah (literally means wet / moist snacks), fried snacks (in Indonesian call gorengan) and other type of jajanan (snacks) mostly known as street food/ snack; for example batagor, siomay, kerak telur and more. Kueh basah are more often steamed than baked and normally have sweet taste, but some are savory as well. 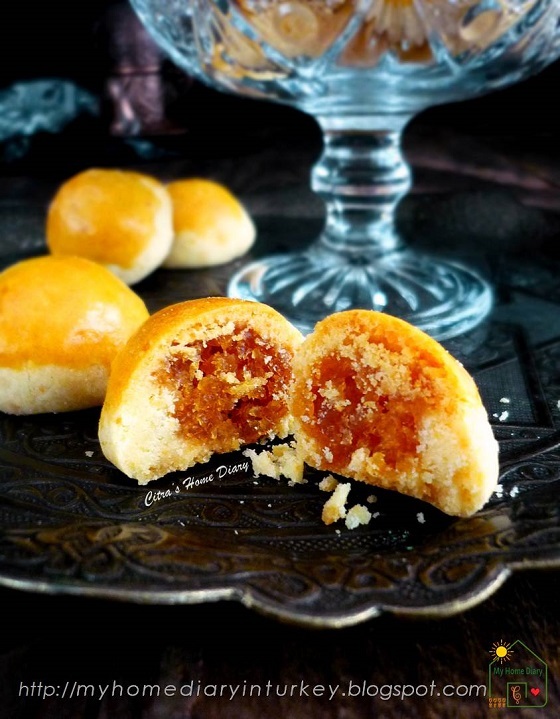 But not all of them using steamed method, named kue basah mostly because they are moist. Just like what İ want to share today. 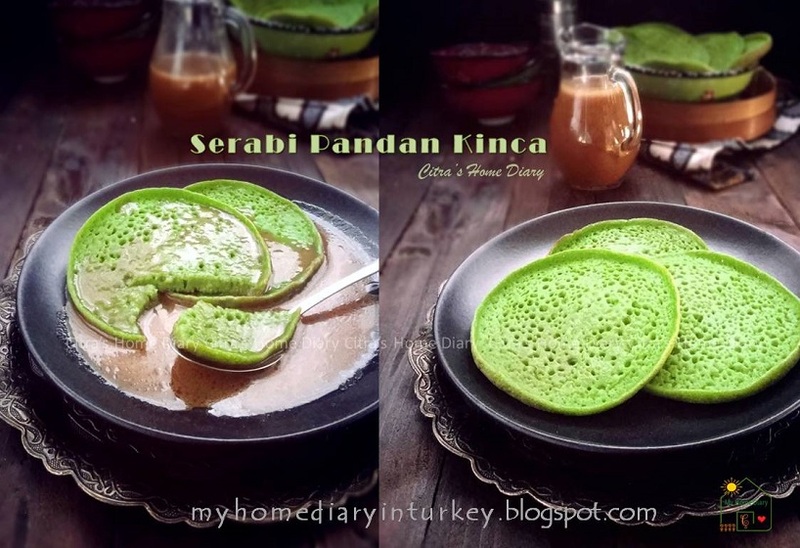 İt's including in kue basah- calls Serabi Kinca. 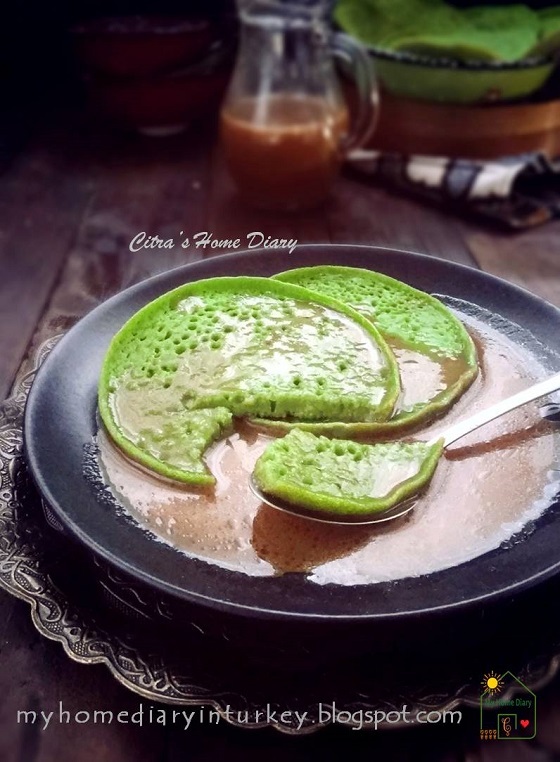 İt's a pancake-like, served with sweet coconut milk sauce. Traditionally the pancake cooked on clay concave wok and heat over traditional clay stove with char coal calls anglo stove. Unfortunately mine was broken during my flight from İndonesia to Turkey few years ago. So İ made this favorite kue basah using small teflon pan diameter ±13cm. İf you have iron cast pan it will work as well. 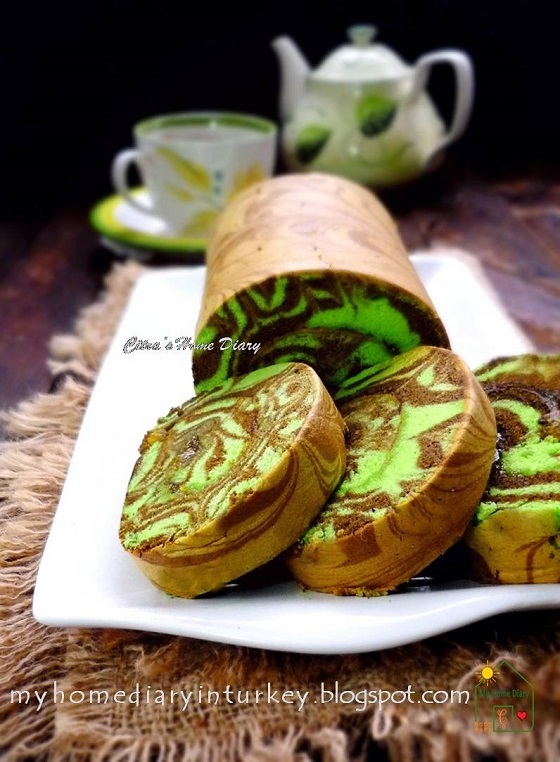 Some say roll cake while other calls swiss roll cake or jelly roll or cream roll. But for me they are same. 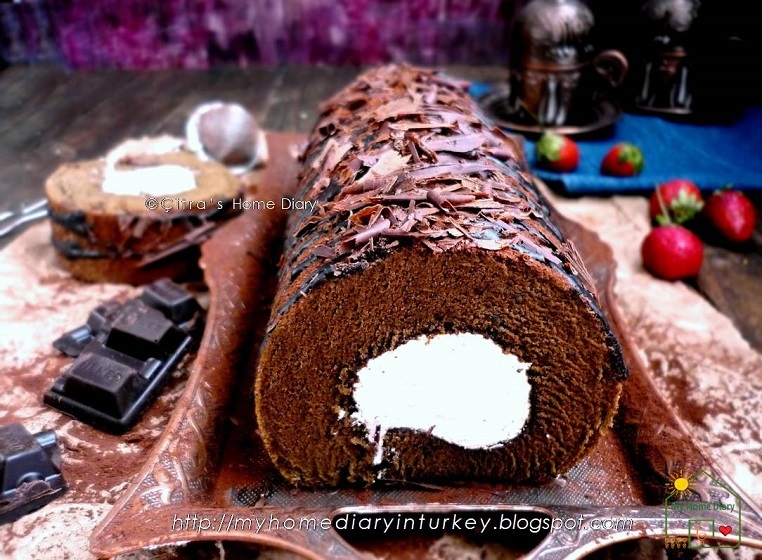 İt's just normal sponge cake that rolled up filled with butter cream or jam or whipped cream or whatever you prefer. The sponge cake it self can be vary in flavor or in method. İf you check my swiss roll cake category at side bar, you can find some various recipes, method and filling. 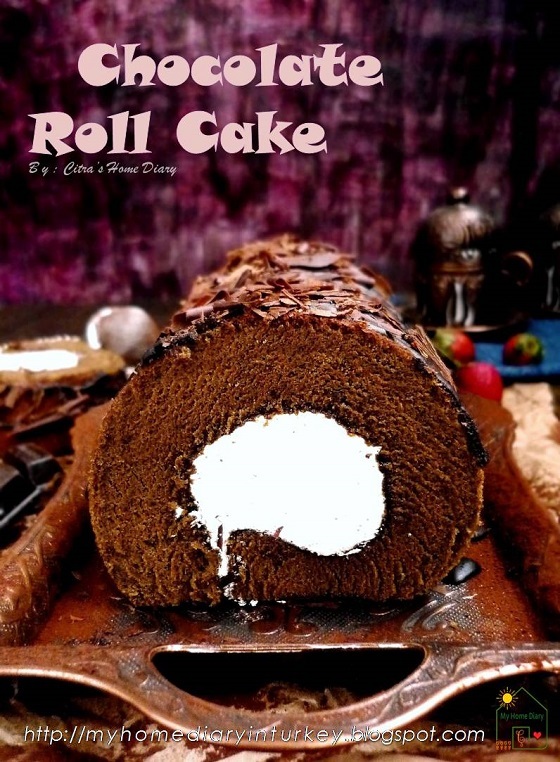 And what İ am going to share is another roll cake. Different from my other recipe which using emulsifier.This roll cake using separated egg sponge method. Selam everybody..... Merhaba from Türkey. This is my advanced posting from my previous shawarma spice mix before. 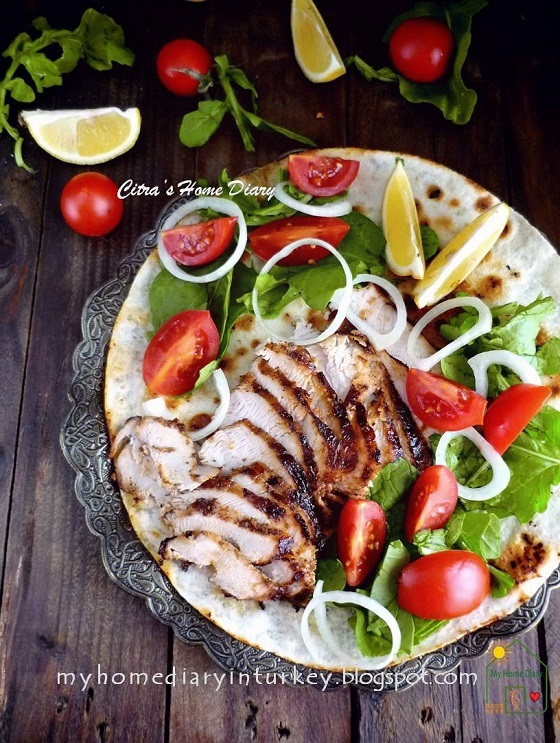 We, especially husband very much enjoy fast food style homemade meal on our menus e.g döner kebab or pizza. 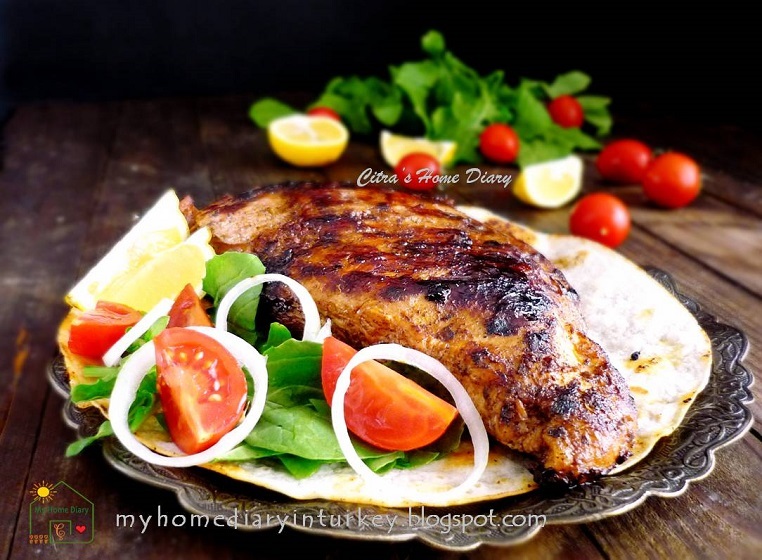 İn Turkey we have dozens types of döner base on meat used, origin and the way it cooked. 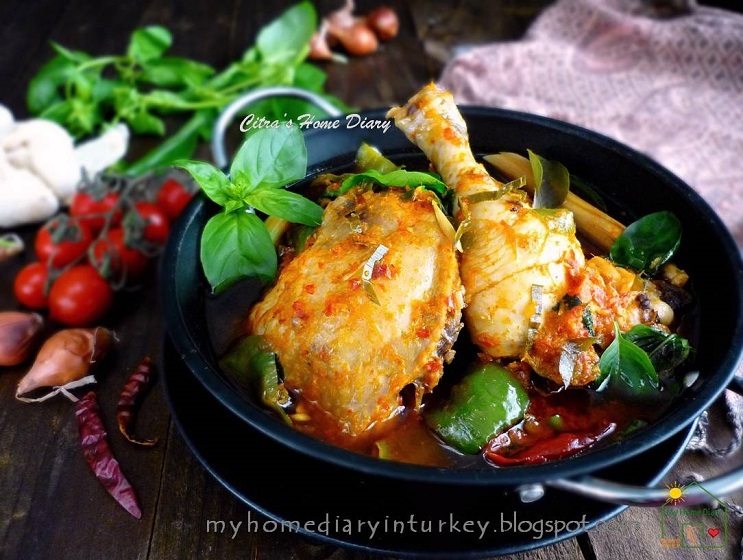 İ already posted some of homemade style Turkish fast food on some of previous posts. Many of them for example famous Istanbul street food Kumpir or food you should eat when you are in Bursa city; Pideli Köfte ( meatball served over sauced flat bread). And the world class famous Adana Kebab . 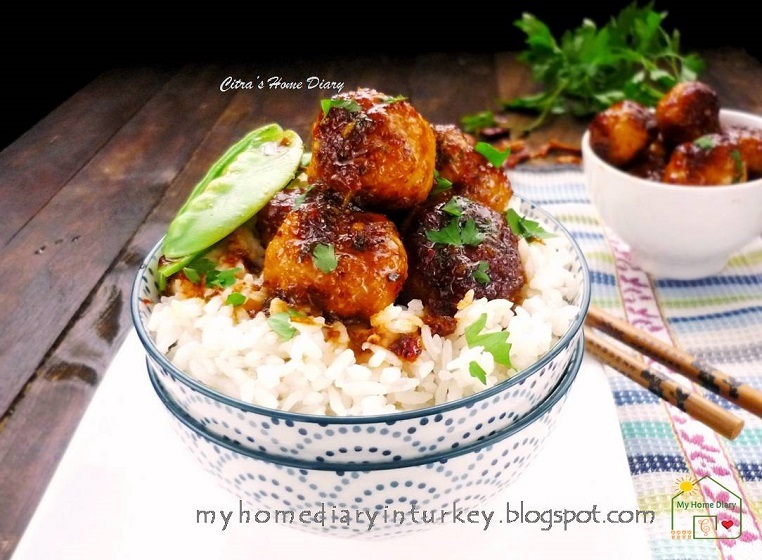 For you who enjoy vegetarian food, you should try my meatless Çiğ Köfte (raw "meat"ball). 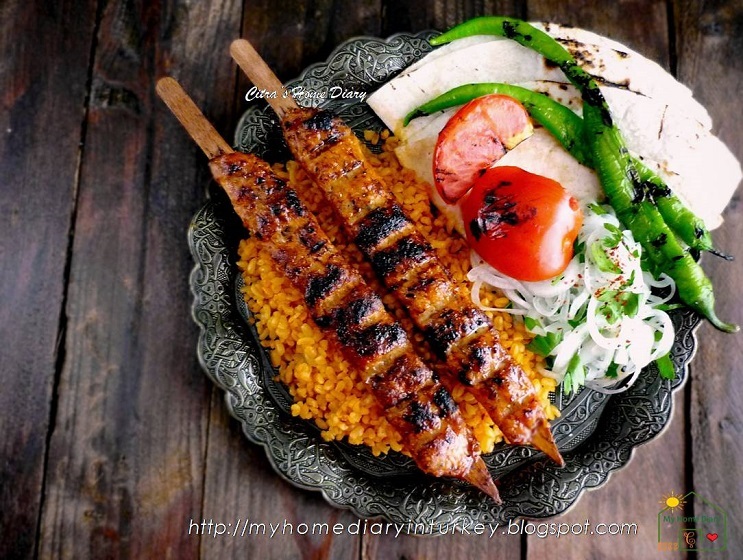 Yep.. İ have plenty homemade Turkish fast food/ street food on my blog 🍗🍡 check the Turkish Foods category on side bar. 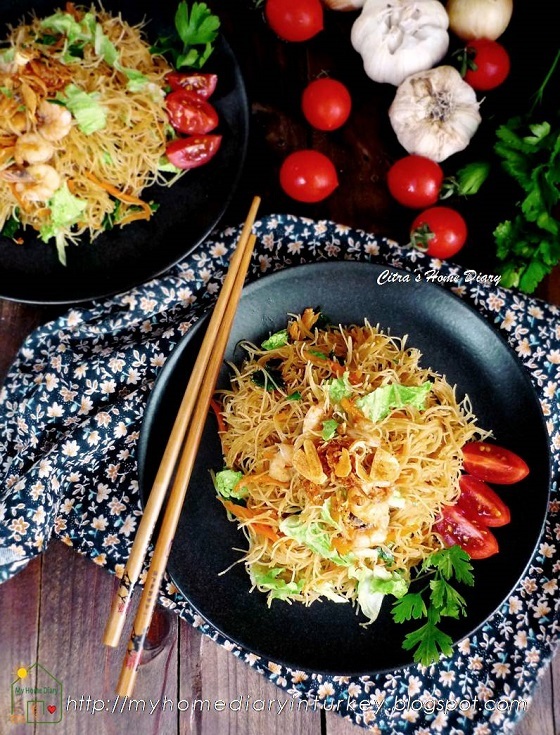 İ mostly cook everything from scratch, if you are my regular reader you might already knew it. And for my home cook, buying spices whole is my best prefer. 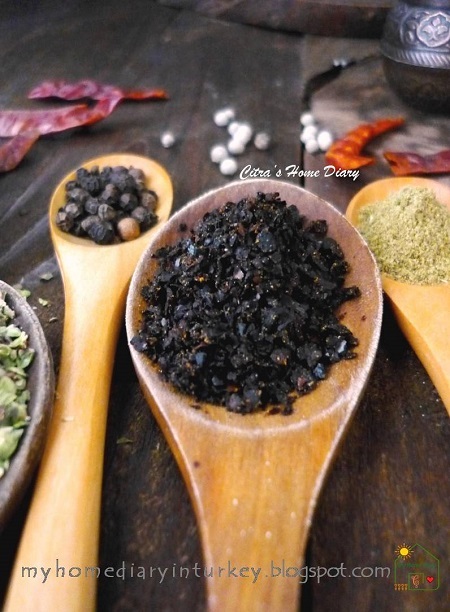 Not only because it still best in flavors and aroma,buying and using spices whole gives us such rich exotic flavor with fragrance locked in for far longer than ground one. 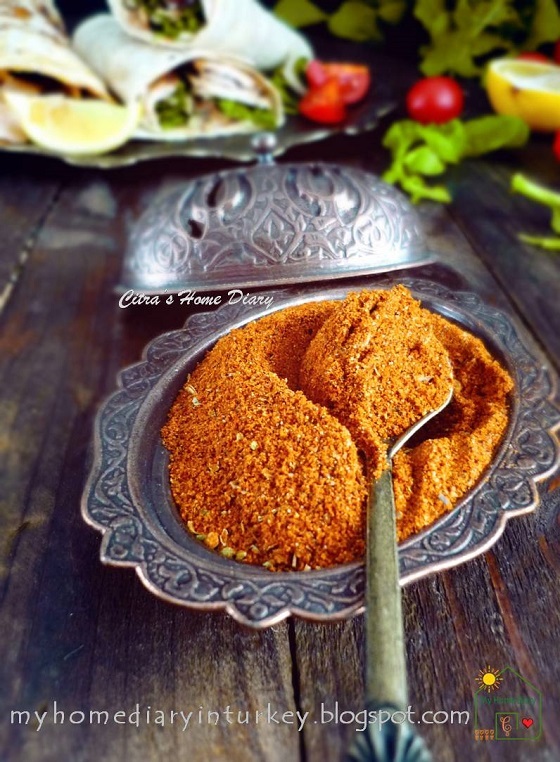 As well as this spice mix İ am going to share with you today. İ use spice whole for making my shawarma spice rub. 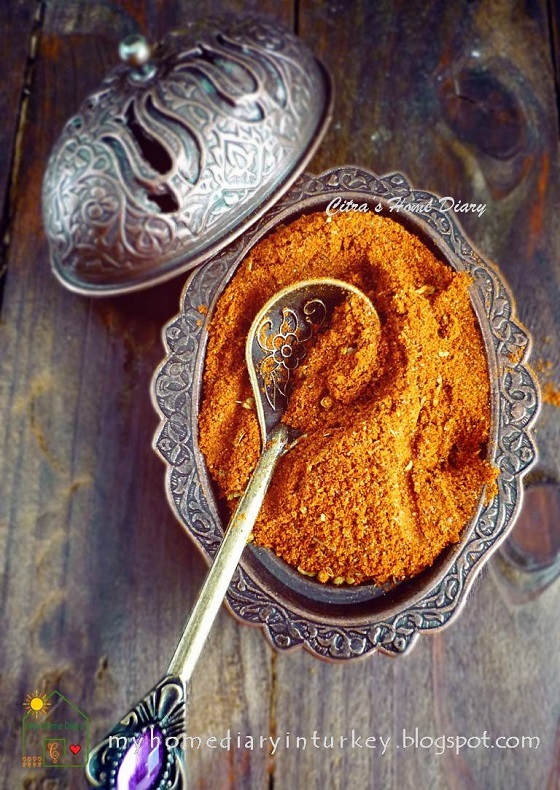 Having this spice mix in your pantry, you'll be one step ahead for making your shawarma from scratch and it is best and pack of flavors spice mix you gonna love. This is our weekend dessert. The humble yet delicious classic pumpkin cheesecake. İ know you might find hundreds of cheesecake recipes out there, but İ assure you this pumpkin cheesecake recipe is keeper and repeatable one. The pumpkin and spice adding it's so into this season. 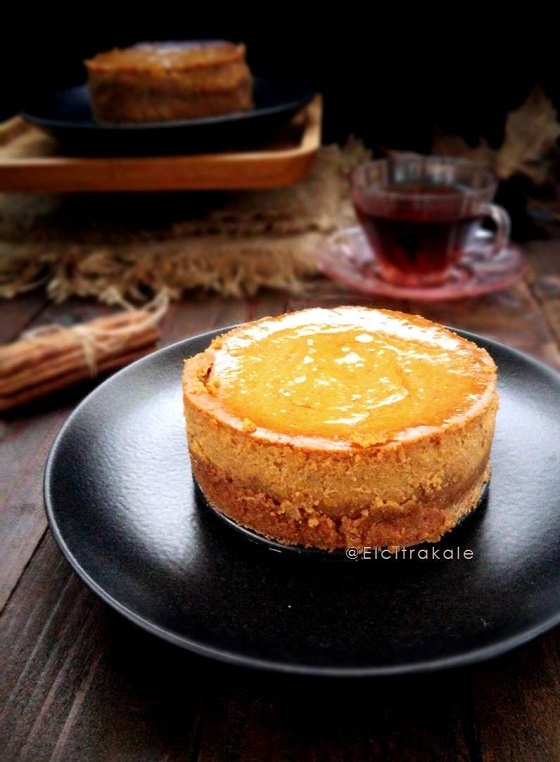 Today İ made mini version of this pumpkin cheesecake. İ used two 11 x 6 cm mini mold but you can use one 16 x 10 cm for bigger version but please adjust the baking time to get nice result. 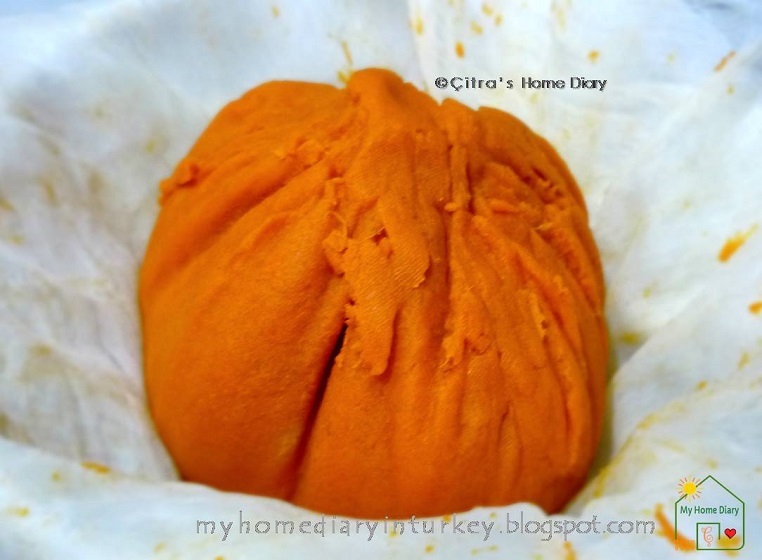 For pumpkin puree İ use homemade one but you use caned pumpkin puree as your prefer. You can see my homemade pumpkin puree here. For baking process İ use steam bake at low temperature. İ take wide baking tray and put a rack (± 3 cm high) then place my cheesecake pan onto it. Fill hot water almost as high as the rack. My today post is about a big flavor in humble form. İ believe you will agree that this is the best dessert to bake to festive the fall. The sweet sour of the apple will get along deliciously with my homemade sated caramel sauce. 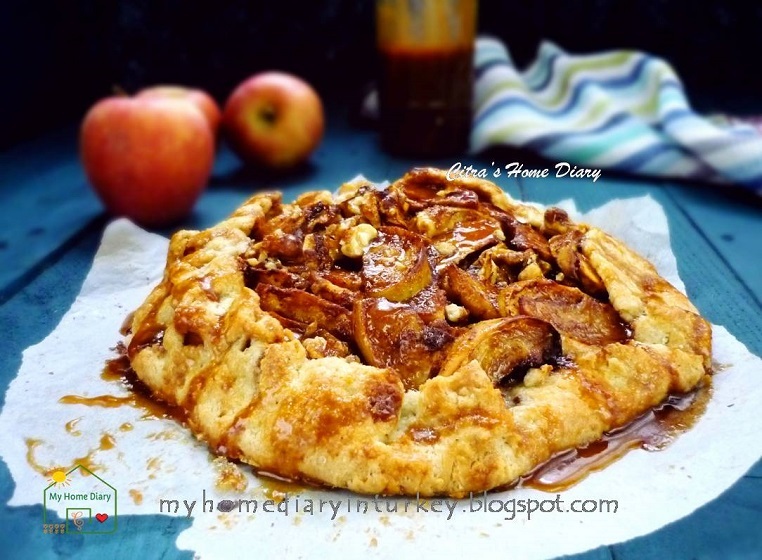 Together with the help of flaky pastry as a base..this apple galette won't disappoint you for family after dinner dessert or weekend tea time. Selam everybody......... merhaba from Türkey. 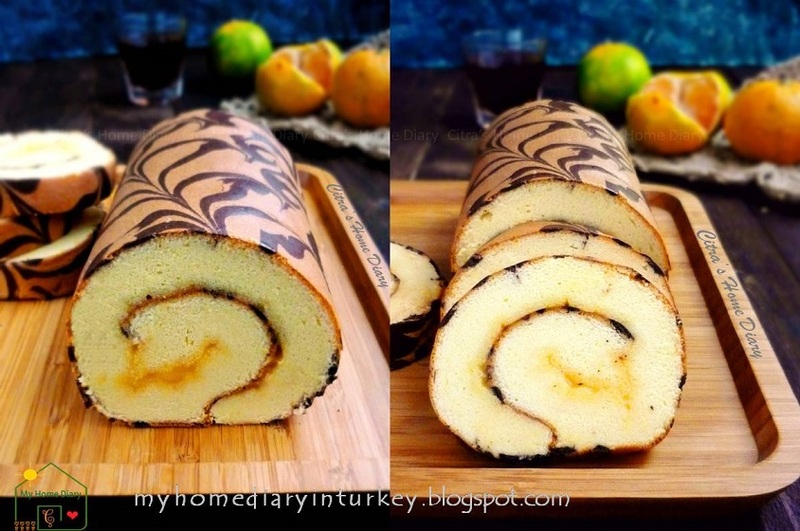 İf you are my regular reader you should already know that İ love baking Swiss roll more than cake. 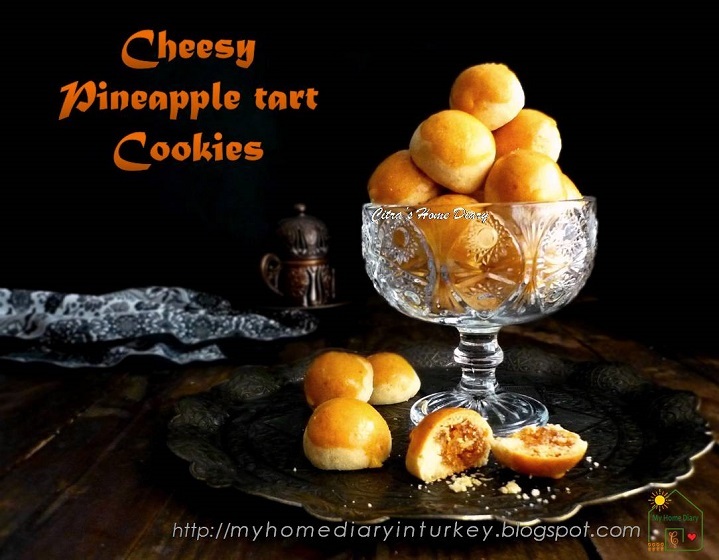 İ made them more than a dozen times with various recipes. 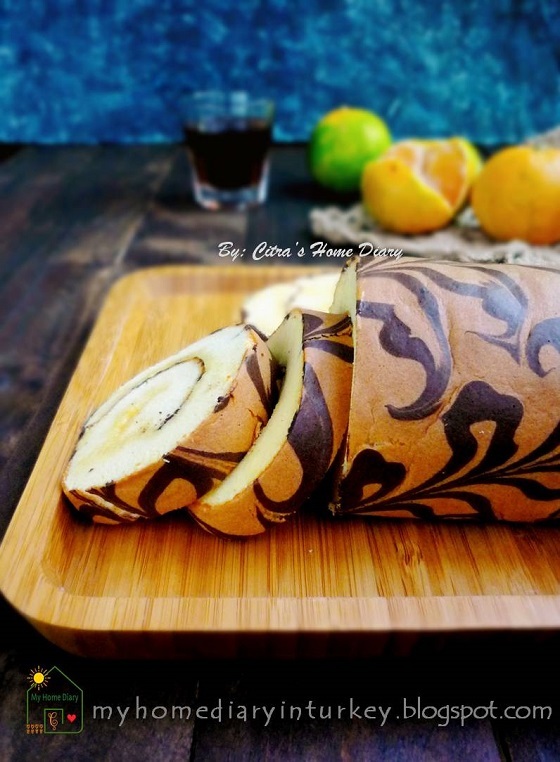 You can check all my Roll Cake collections on "Swiss Roll Cake" category. İt's quick and finish so fast cause İ have small family member. 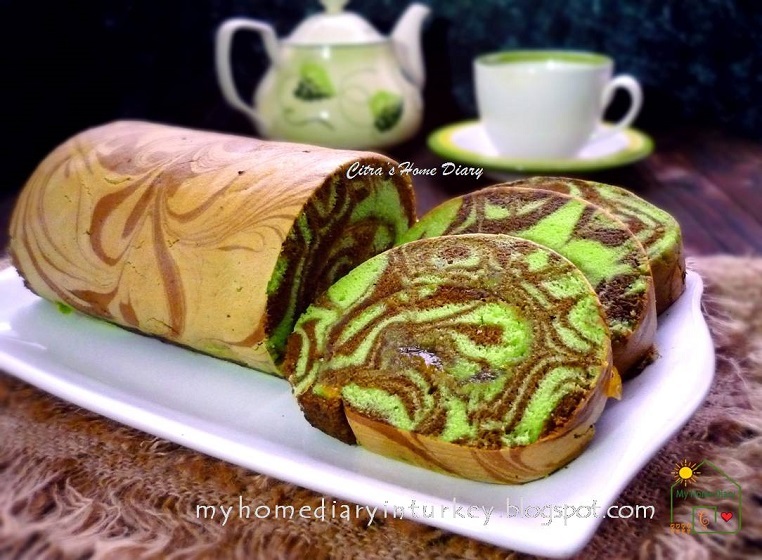 İf you never make roll cake before you may wonder how is it. 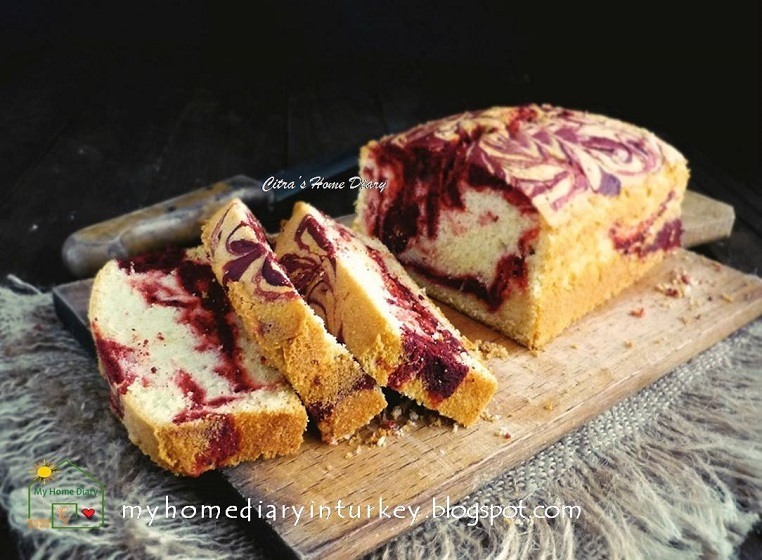 İt’s really just a rolled sponge cake with a filling – usually, though not always, jam – then slice sideways to serve. Everybody will love it. İt's best treat for any occasions; tea time, coffee time or just hang out with your friends doing your hobby together. And if ever baked them before..try this recipe. Nothing more adventurous and fun for bakers than trying new recipe and out from "comfort zone" using regular recipe. Making macarons is part of my baking journey. İ still remember how many times İ failed baking them before İ finally had my happy ending story. My 1st succeed macarons was lemon macarons couple years ago, followed by some flavored macarons that become my favorite, especially Pandan macarons with coconut cream filling. For you who never try pandan in your macarons, you should try it...totally delish for your coffee time or entertain your friends. Or maybe chocolate is your favorite.. you could see my dark chocolate macarons İ previously posted. All those my macarons are using french meringue method which is starts with raw egg whites, whipped until they're foamy enough to hold stiff peaks, then fold into almond icing sugar mixture. 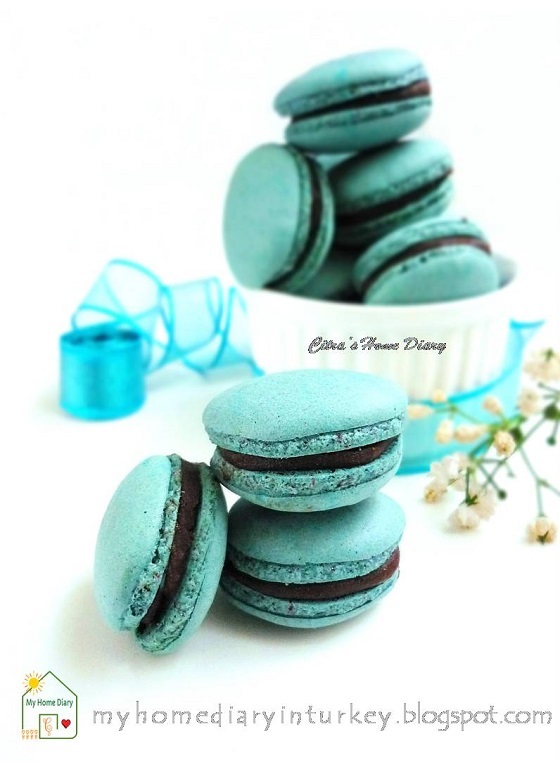 For Macarons with French meringue method, you can visit my category list "MACARONS" . Just for information there are three method to whip the egg white; French method ( İ mentioned above), Swiss method and İtalian method. Swiss meringue method is combines the granulated sugar and egg whites up front, whisking them together over a water bath to about 140°F (60°C), then whipping them until stiff peak stage. You might know that macarons are highly unreliable cookies, even if you have made them several times. 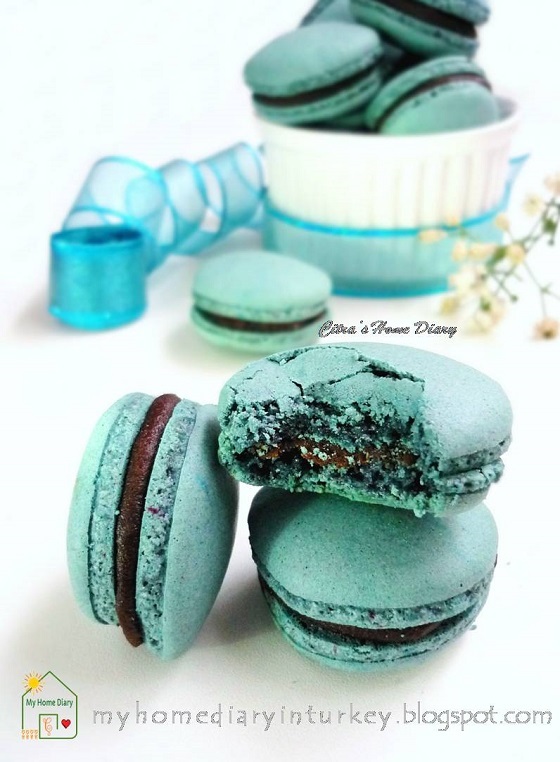 The results can vary from time to time, and sometimes you have no idea what went wrong when you got your macarons has no feet or crack or collapse after baking. It takes some time to figure out what works for you, in your kitchen and oven. When making macarons, most patisseries use the Italian method, due to the reliability of Italian meringue. People say it's very stable, which is important for a well-shaped macaron as well as fail-safe. That's one of my reason also İ want to start my baking journey using İtalian meringue method for my macarons. İn this method we will whip the meringue with hot sugar syrup until it thick and glossy before adding it to almond mixture. 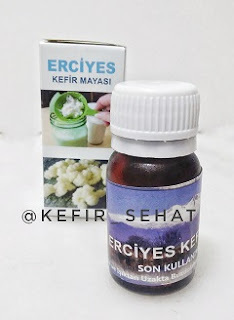 For this method İ use liquefied egg white which is the egg white that had been placed in clean jar, İ covered with cling wrap with some small holes to let water content evaporate. İ kept my egg white in refrigerator 3 or 4 days. Selam everyone..... Merhaba from Türkey. When İ hear a word firecracker sauce... my mouth instantly watery. 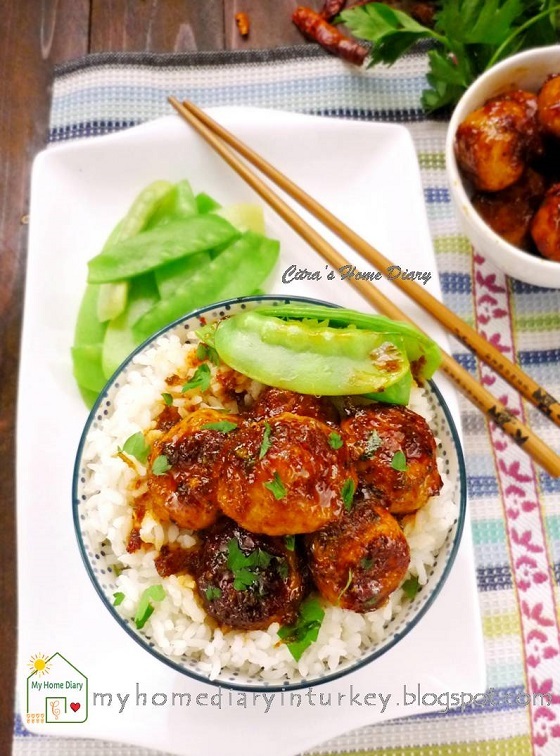 But İ doubt you don't like a savory garlicky spicy and sweet with light tangy sauce. This firecracker sauce definitely worth to try, believe me it'll be repeatable. This sweet spicy hot sauce could be used in almost all protein source. 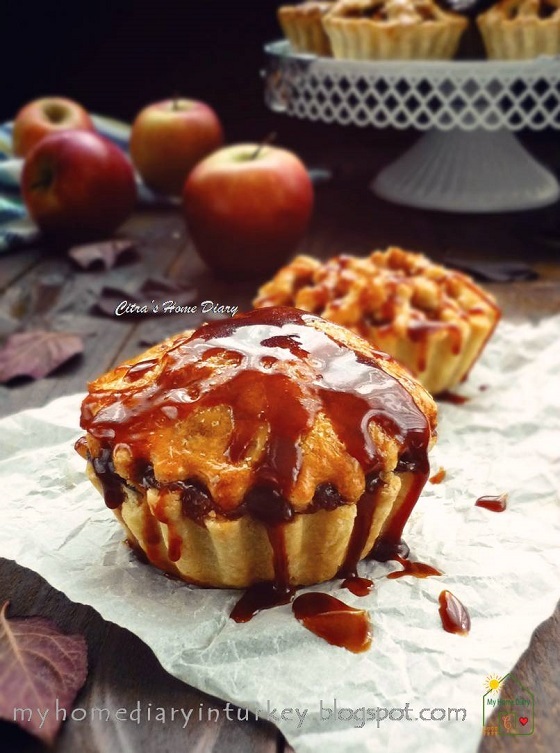 Apple Pie, fall delicious dessert that everyone should bake. 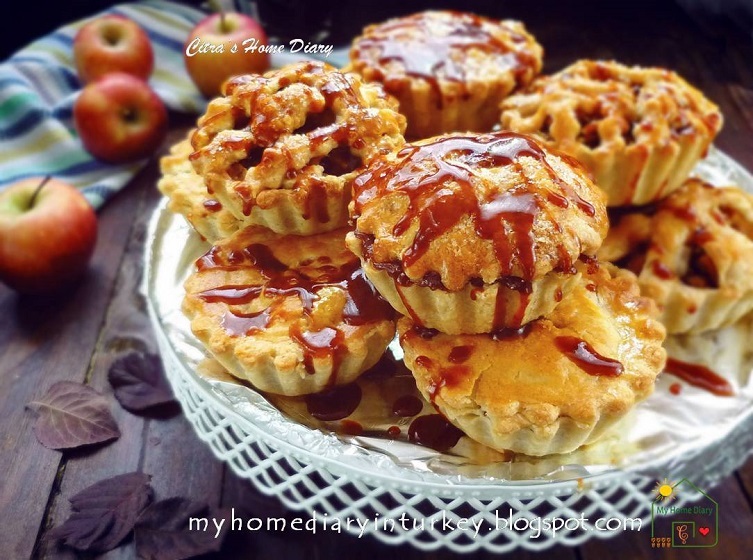 This hearty and humble apple pie wouldn't be simple anymore with flush a lot of salted caramel sauce.-who doesn't love caramel sauce. İ love to make my apple pie in individual version so İt's easy for me to keep the rest in airtight container. And with mini version make me easier to put it my my kid's or my hubby's lunch box. Or just fill our picnic box for freshly weekend picnic before the air turns completely freeze. The crust is totally yummy! flaky and all butter type pie crust İ still couldn't move on to another recipe. The pie shell İ use is my favorite recipe still. You can check the pie crust recipe here in this link. İ made the crust a night before İ bake my pie. Feel free to use your own favorite pie crust, but take my word... you should try my flaky crust, it's worth to make and you gonna love it. Today I am so exited. yaa...yaahh..İ know. İ am away too late actually doing my cooking video...but what should İ do. İ am mostly working alone in kitchen, no body help me to record any video during cooking. But hey... better late than never, right? This video also İ took by my self with one hand and other hand doing things. İt's looking poor video, raw, no edit at all and far from nice quality.. Bear with me. İ'll improve. İf anyone could give me any suggestion how to make cooking video..please do leave your comment below. I would love to know. 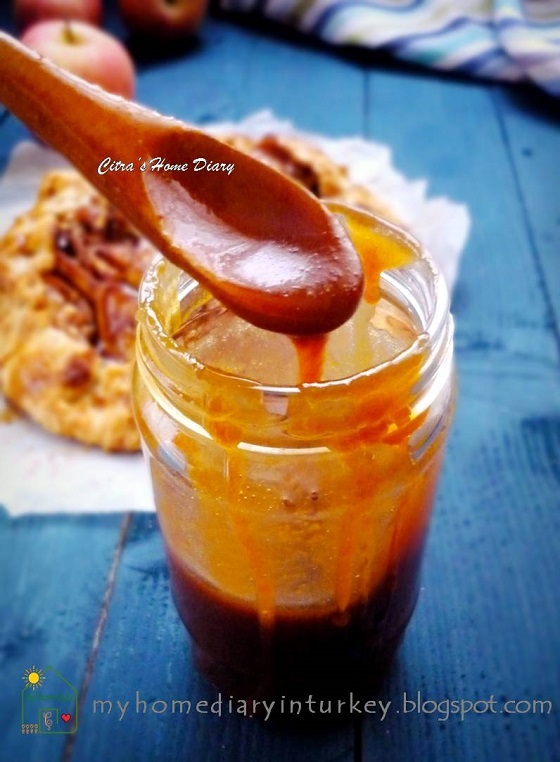 And today İ am going to share my simple and easy how to make salted caramel sauce. Who doesn't love caramel sauce. Especially my kid, start from dipping until use it for caramel popcorn, she loves it! What about mix it with apple pie? Nothing more to describe than "yummy"! yep.. İ am gonna use it for my apple pie sauce. So here is my recipe how to make easy and quick salted caramel sauce. Selam everybody. Merhaba from Türkey. Since first time İ made it, İ fall in love and get addicted to piri piri sauce. And now piri piri sauce become staple in my fridge. You should try my "make in advance piri piri sauce" and you will get the best and delicious dinner / lunch ready within an hour. 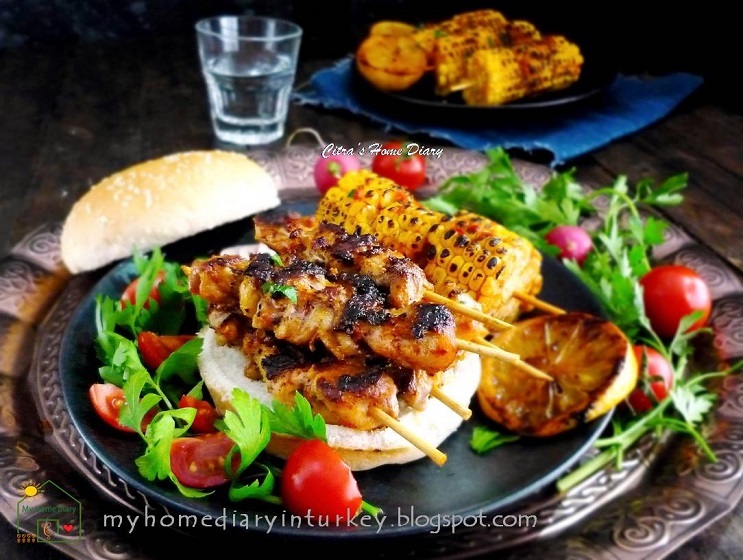 And today İ make chicken piri piri kebab serve with piri piri grilled corn. 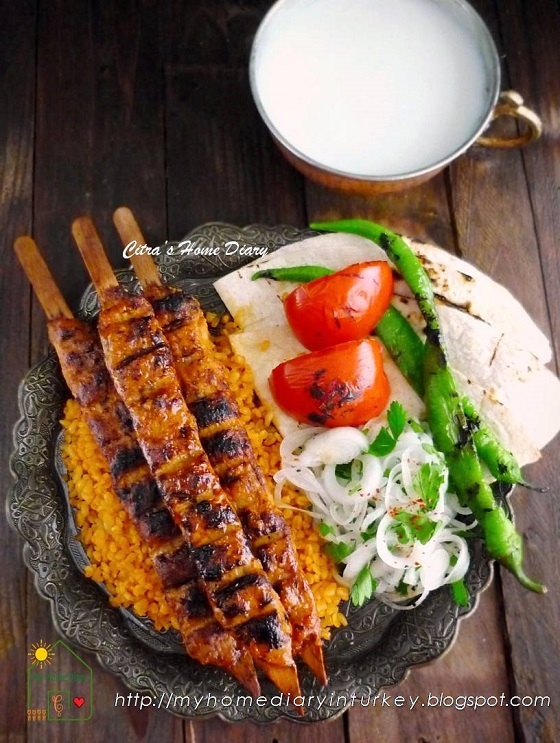 İf you are fan of grilled chicken, give a try this piri piri skewer. And the corn..... Well... İ lloovveee it! in fact the grilled piri piri corn will be my repeatable meal for me and family. Today post is my childhood meal. Me and siblings grew up with this dish. My mom or my grandmother usually cooked this for us. 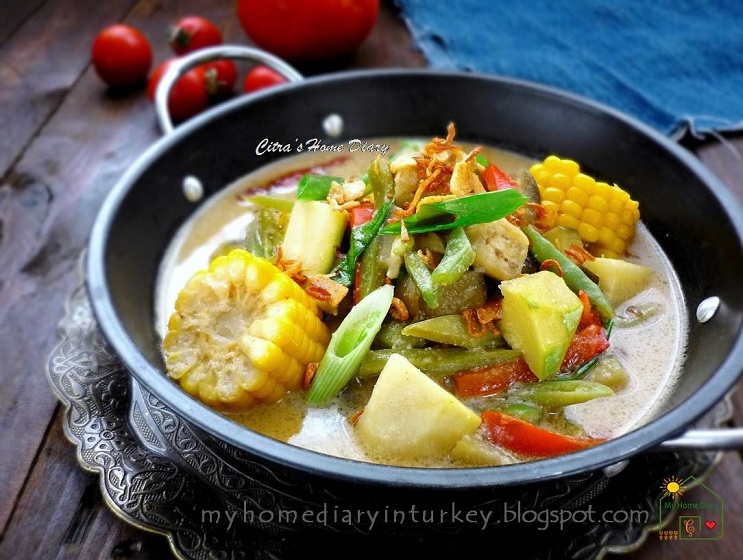 İt's mix vegetable (curry-look alike) cook in coconut milk. Most often tofu or tempeh also mixed in it. And if we have enough money (at that time) to buy shrimps, my mom or grandma also putted some small shrimp in it. This Called sayur lodeh ( or in Javanese language calls Jangan Lodeh). 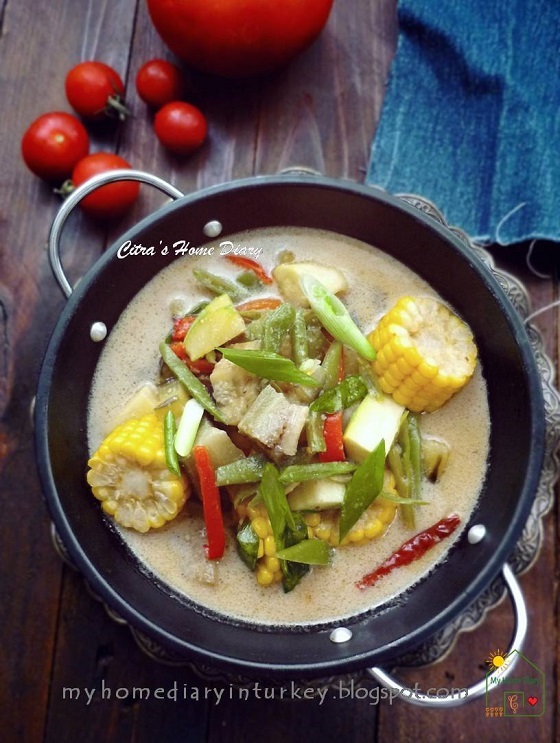 Javanese curry-like dish, content with various vegetables, like eggplant, chayote, zucchini, young green jackfruit, bamboo shoot, yardlong bean, green bean, corn and so on. Just any left over vegetable you have in your fridge can be added. And for protein addition we add some tofu, tempeh or shrimp. İt is so simple and cheap. That the reason why this was most repeatable menu in our house during my childhood. 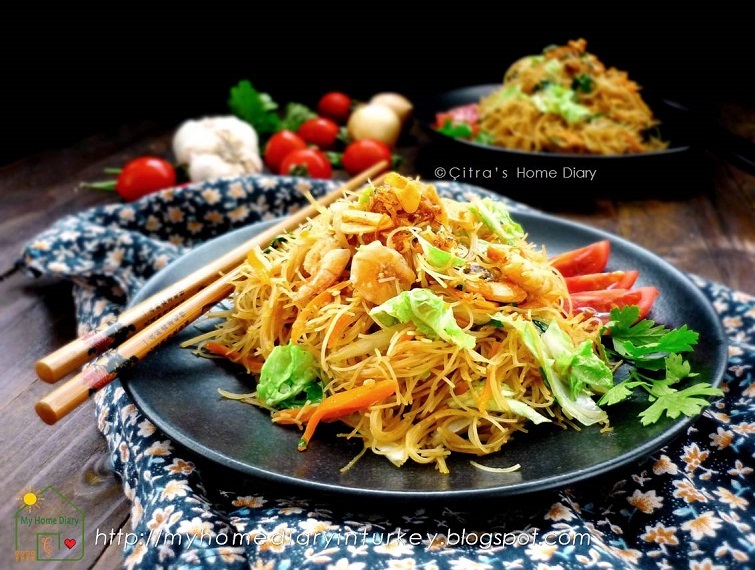 We eat this with plain steamed rice, adding sambal terasi is a must. 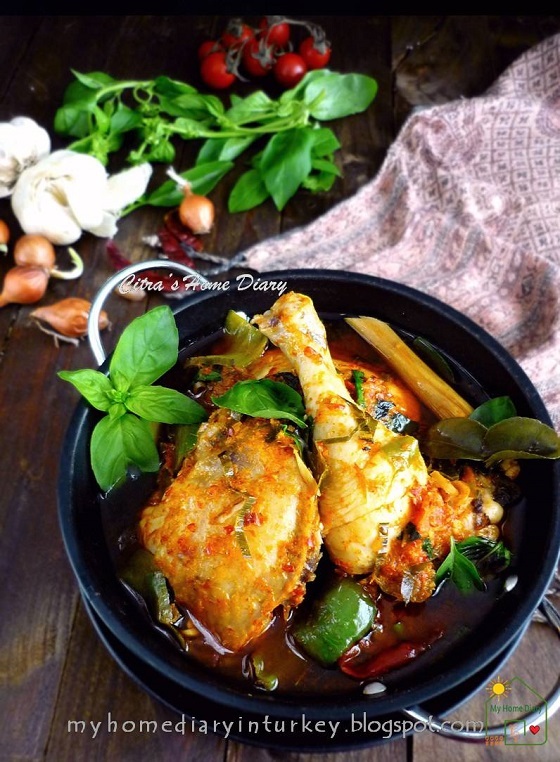 Together with fried protein - like fish or chicken- as side dish, this is the most humble and so traditional of Indonesian food. And forget to mention it's vegan and healthy. İt's been a while İ didn't post any butter cake since my last Chocolate marble butter cake. No other reason except because we don't really like eating butter cake except for weekend only. Or if İ had guest came to our house. Husband prefer to have something light for after dinner dessert or just light cake/ snack accompany us during tea time. 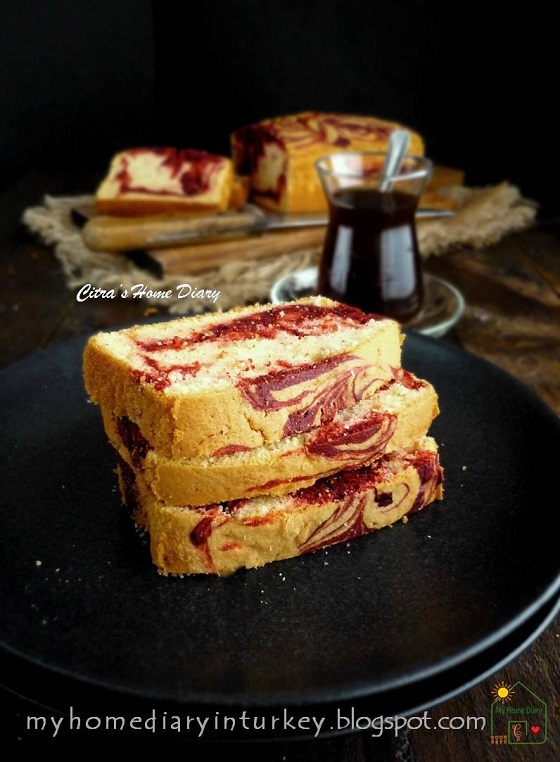 And when one cooking group İ just joined in Instagram has theme for this week; marble cake. So voalla.... İ have a reason to rebake my childhood fave cake; butter cake.